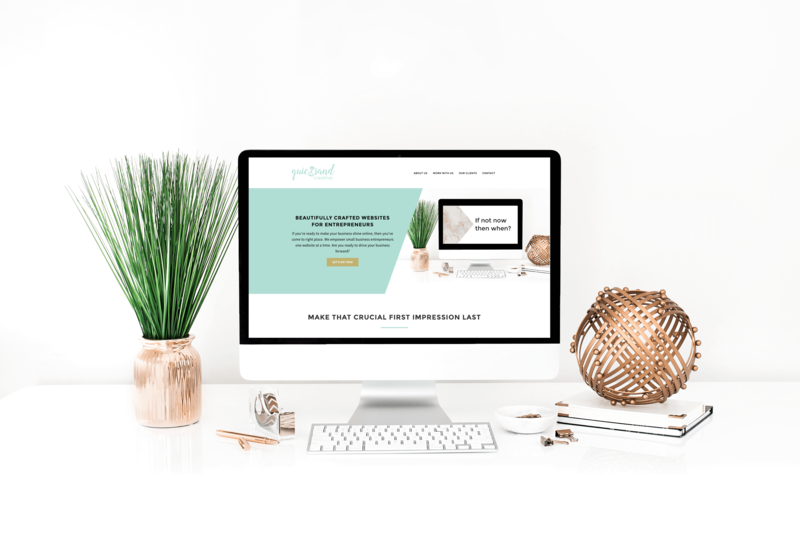 Whether you are just starting out or have been in the entrepreneur game for years, your website needs to make an impact – and it needs to be attracting clients so you can do what you love. If you’re still using a Facebook page as your “site” (it’s OK, I know you’re out there) or if you’ve been putting off building a professional website for awhile, I ask you one question. If not now, then when? You are providing amazing, unique services and products – your expertise and talents are yours alone – you owe it to the world to share them. Your website should be a powerful tool in your arsenal, and ultimately, it should be making you money. The Brilliantly Branded Website Package is an all-inclusive branding and website development service that will empower you with a stellar brand that instills trust, conveys your vision and values, and above all else, allows you to live your purpose. It’s time to invest in you and the life of your dreams. WHAT’S INCLUDED IN THE BRILLIANTLY BRANDED WEBSITE PACKAGE?